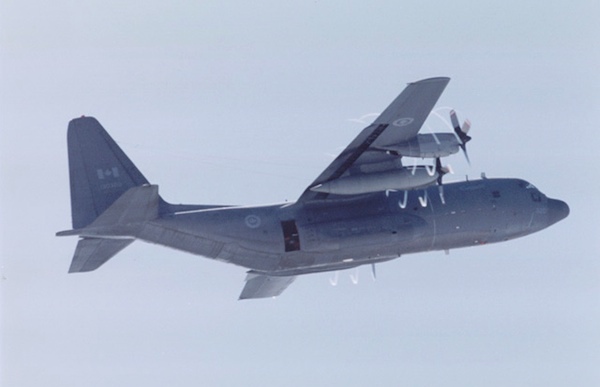 Nine Winnipeg-based Canadian Forces personnel evacuated a CC-130 Hercules aircraft on Tuesday after it caught on fire during a training exercise. The incident happened at the Naval Air Station in Key West, Florida during take off. Damage to the aircraft is said to be extensive after on-site fire and emergency crews extinguished the blaze. The cause of the fire is being investigated by the National Defence Headquarters in Ottawa. The aircraft and crew are from 435 Transport and Rescue Squadron of 17 Wing Winnipeg. They were all examined as a precautionary measure and didn’t suffer any injuries. The CC-130 Hercules aircraft and crews were operating in the area to provide air-to-air refuelling support for the training of new CF-18 fighter pilots from 4 Wing Cold Lake, who were conducting training focused on air combat tactics and air interdiction missions.